Does dry scalp cause hair loss? Question: Dr. Shapiro, I have developed a very dry scalp and dandruff. At the same time, I’ve started losing hair. Does dry scalp cause hair loss? Dr. Shapiro, Hair Transplant Doctor Answers: The causes of hair loss should never be self-diagnosed. Why? Doctors and dermatologists are trained to identify the medical reasons why someone is losing hair. A superficial examination by any other type of professional (such as a hair stylist, massage therapist, chiropractor, holistic doctor, medical intuitive or acupuncturist) or an untrained individual is dangerous territory. 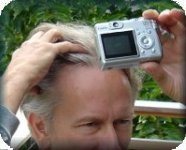 If balding seems to run in the family (androgenetic alopecia, or male pattern balding), people may perceive their own hair loss as inevitable. Men may look at their balding fathers and shrug, resigning themselves to the same pattern. In fact, genetic research may eventually show that androgenetic alopecia has genetic components from both sides of the family , especially from the mother. Additionally, the onset of androgenetic alopecia may be triggered early, or delayed by nutrition, prescription drugs and other factors. Hair loss could have many possible causes. Fungal infections, poor nutrition, or poor blood circulation may be causing the hair loss. In women, hormonal problems often underlie hair loss, and can usually be corrected. Wearing hair styles that tug on the hair, taking certain prescription drugs and herbal remedies, suddenly losing a lot of weight (such as after gastric bypass or ring surgery), iron deficiency, or taking anabolic steroids can cause hair loss. And ingesting ingesting whey protein isolate (WPI) supplements may also be linked to hair loss. Rarely, hair loss can be a symptom of serious disease. Therefore, a trip to your doctor or dermatologist is in order as soon as you start noticing hair loss. Without examining your scalp, I cannot give any sort of diagnosis, but I can tell you the most common reason for a dry, itchy scalp. It’s called seborrhoeic dermatitis, and it is thought to be caused by over-production of skin oil and irritation from a naturally occurring yeast on the skin. In very rare cases, seborrhoeic dermatitis can cause hair loss. If your doctor says this is the problem, rest assured that it can be treated with basic or medicated anti-dandruff shampoos and, during serious flare-ups, creams. Most likely, your dry, itchy scalp is not causing your hair loss, but both symptoms are signs that your scalp needs help! I offer hair transplants to patients who want to restore lost hair. See my hair transplant photos for more information about this permanent solution to hair loss. Dr. Shapiro is a dermatologist and hair transplant specialist with hair transplant clinics in the Miami, Boca Raton and Ft. Lauderdale areas of central Florida. He is the author of “Fight Hair Loss and Win!” which offers a 4-step program for people struggling with hair loss. This entry was posted in Baldness, Genetics, Hair Damage, Hair Health, Hair Loss, Hair Loss in Women, Hair Problems, Hair Transplant, Hair Transplants, Health - General on March 29, 2010 by Larry Shapiro.